Round recessed luminaire for outdoor installation in the ground. Configuration: die-cast aluminium structure. EN AB-47100 alloy (low copper content). AISI 316L stainless steel frame. Tempered transparent or sandblasted glass (no-slip glass VA on request) and moulded silicone gasket. 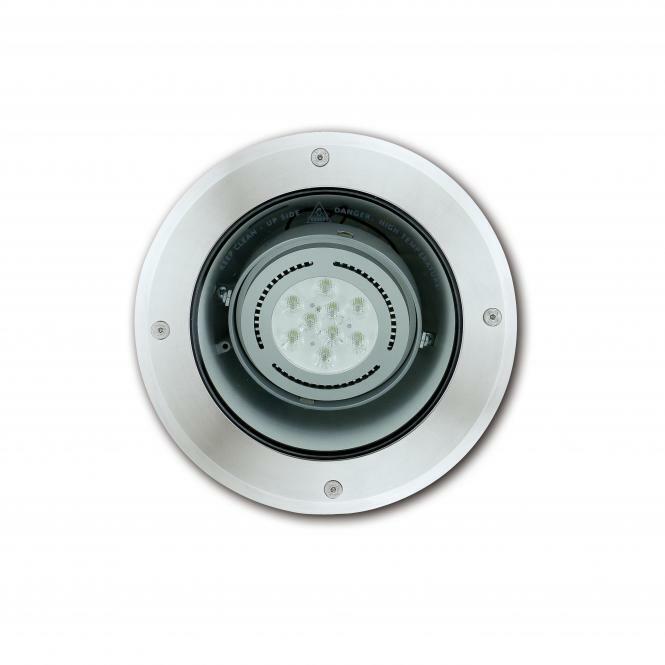 Installation: the luminaire is equipped with one M20 plastic cable gland (400mm gravel layer or a drain system (for concrete surfaces) to ensure good drainage and to avoid water stagnation.